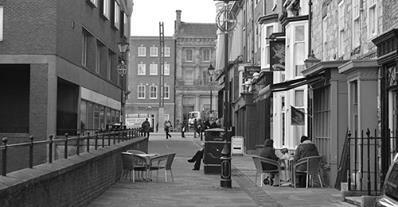 Finkle Street in Stockton is one of the town's most historic streets and even today still has an 'olde-worlde' sort of charm with its characteristic buildings. 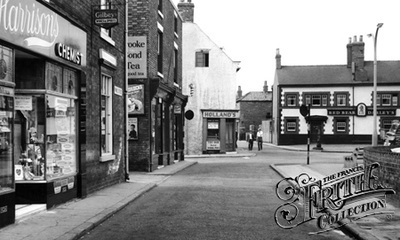 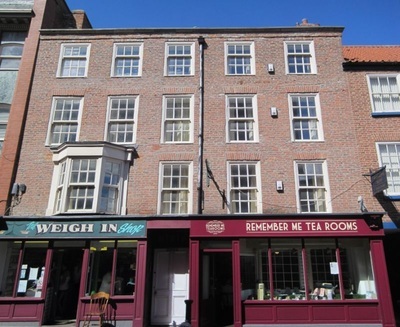 It is tempting to think that little has changed in Finkle Street just off the High Street, but one look at the two photographs below belies that . 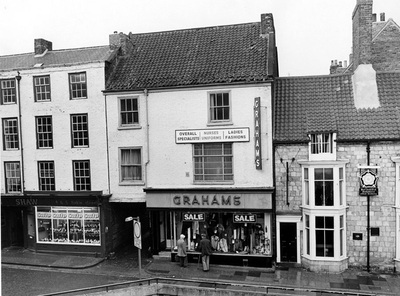 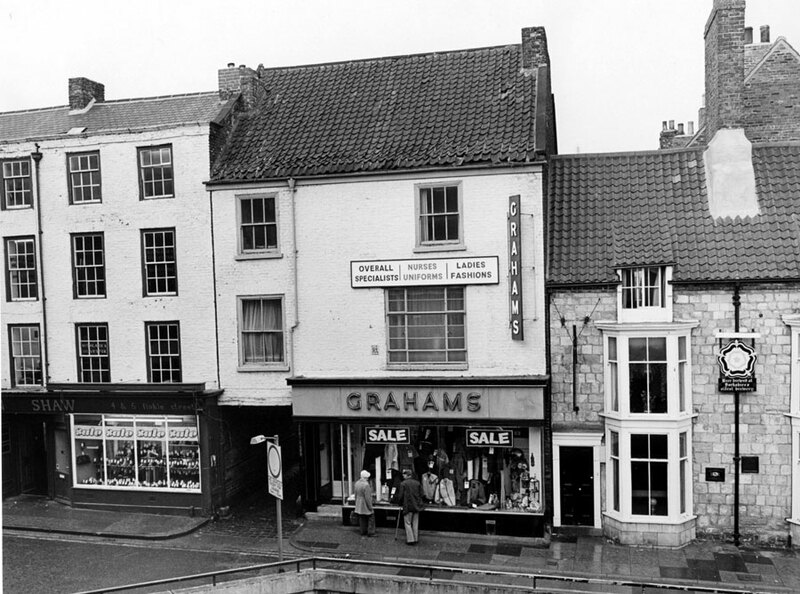 It is quite noticeable, when comparing photographs, that Finkle Street is much narrower today than it was before the Castlegate Centre was built. 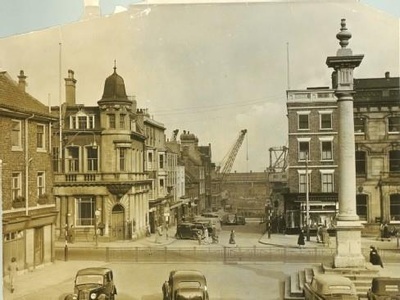 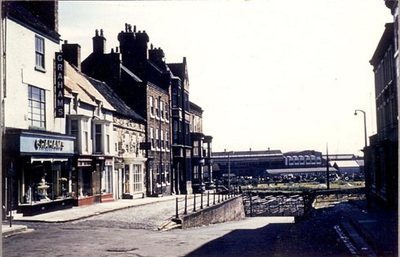 Finkle Street from across Stockton High Street in the1950s notice the cranes down by the docks. 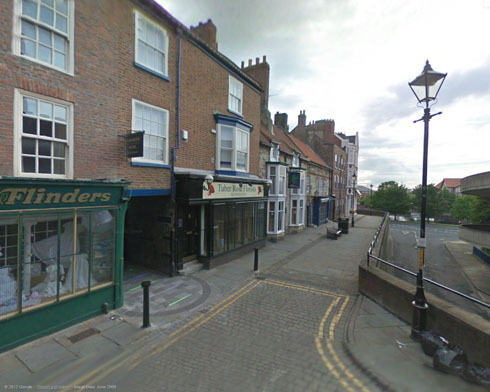 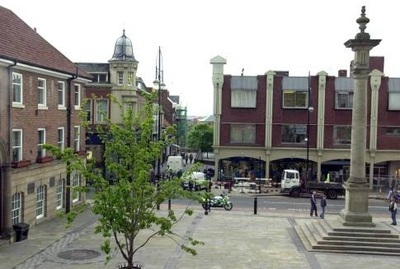 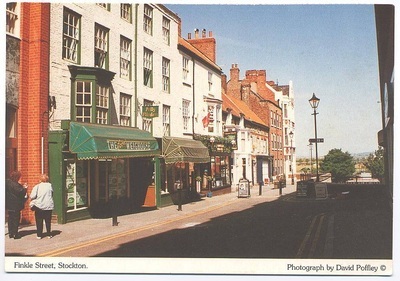 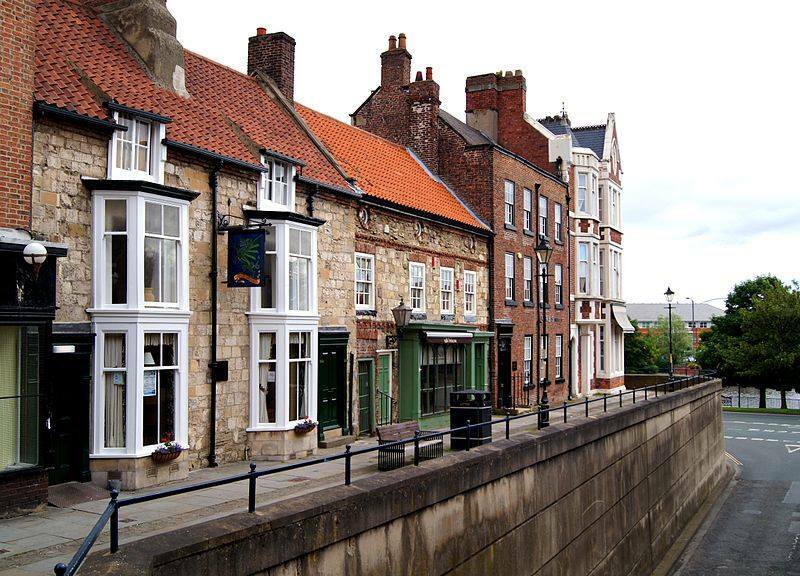 "In the 1660s the town (Stockton) was described as having only houses of thatch and timber and the impression is of a dilapidated medieval town. 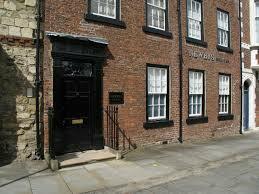 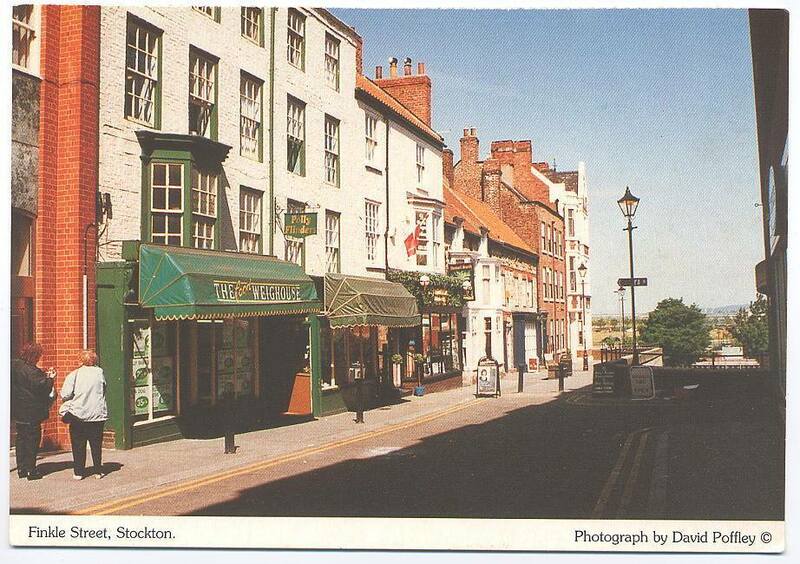 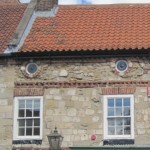 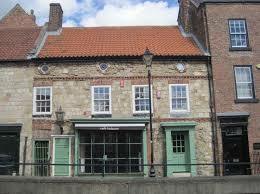 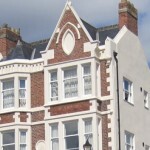 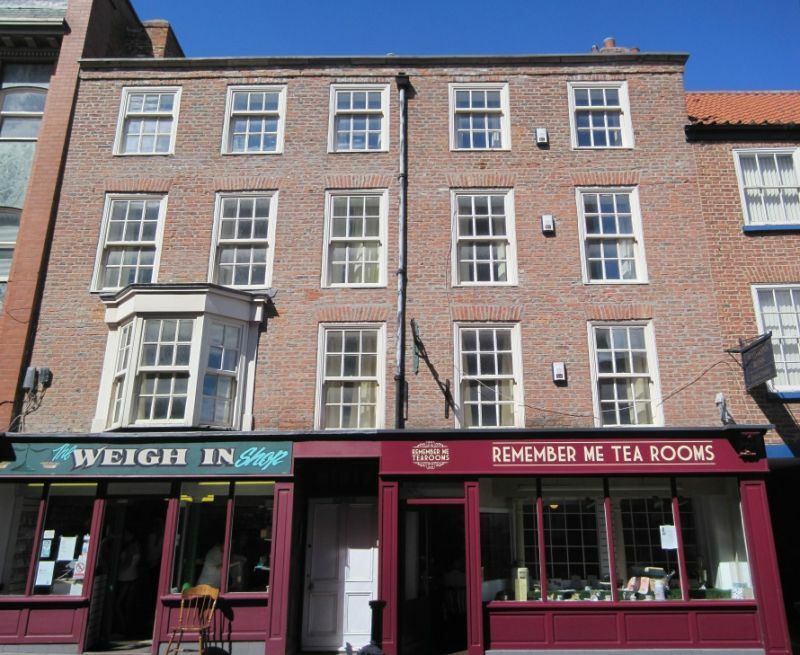 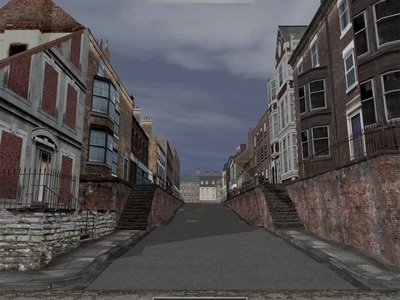 However from about 1680 to 1710 there was a major rebuilding of the houses of Stockton using brick and tiles and quite probably stone salvaged from the castle as is supposed to be the case in Finkle Street."